to learn how you can become a Thurmont Lion and serve our community! 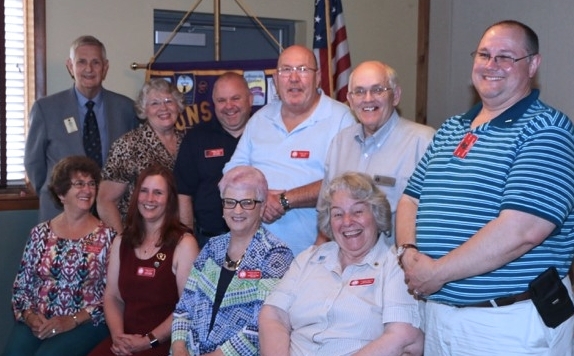 Pictured above L-R: (back rows standing) Lions Paul Cannada, Gayle DiSalvo, Don Keeney, Don Ely, Bob Johnson, and Doug Favorite (front row seated) Lions Joyce Anthony, Julie El-Taher, Dianne McLean, and Nancy Echard. Please reference District 22 W Roster Book for a full list of Thurmont Lions Club Officers and their contact information.